We recently got a chance to review the new book Hoot and Peep: A Song for Snow. Penguin Books sent us a free copy to check out. The kids loved it! My three year old wants to read it almost every night. So I thought I'd create a fun learning activity based on the book for her (and you!). See below to download your free version of it. And make sure you enter to win your own copy of this book! It's Peep's first winter, and it's going to snow very, very soon. Peep has so many questions for her older brother Hoot: Does snow drop, ploppety splop, like the rain's song? Does it scrinkle scrattle like falling leaves? But Hoot can't remember snow very well. The one thing he knows for sure is that it is worth waiting for. But Peep doesn't have his patience, and as she flies around the gorgeous wintery Paris skies, she tries her best to make up her own snow song. But once those first flakes start to fall, Peep realizes just how wise her older brother really is for waiting...and just who she wants to cuddle up to when the snow starts to really sing. With all the wonder and the joy of a first snowfall, this tender follow-up to Hoot and Peep is certainly worth waiting for, too. 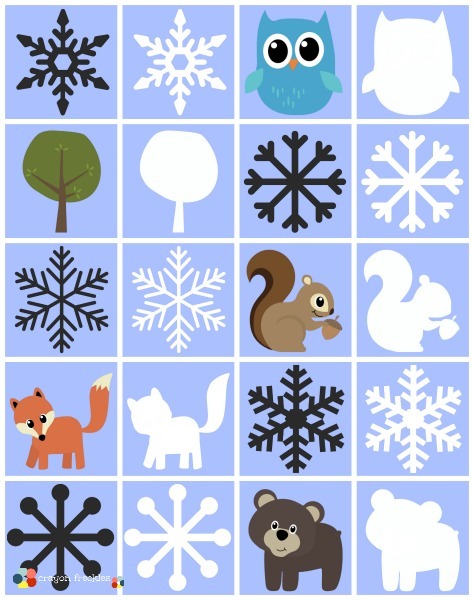 My preschooler loved this story, so to further explore the book, I created a match-up game for children where they match images related to the book with an outline of the image. After downloading the game using the link below, all you have to do is print, cut, and play. You may want to laminate for durability. 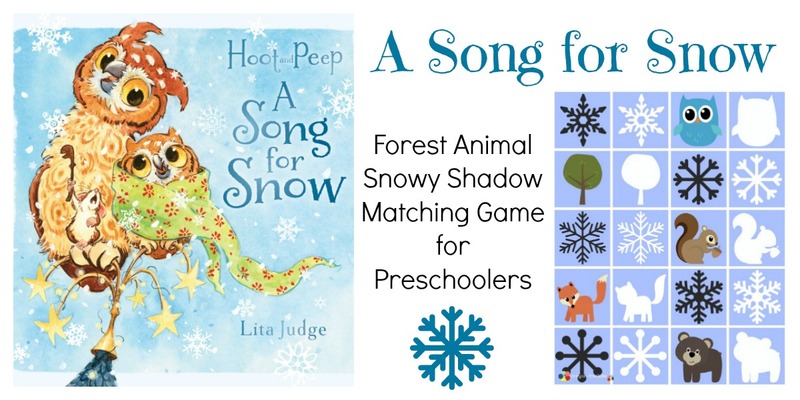 Want to get a copy of Hoot and Peep: A Song for Snow for your young reader? Enter this giveaway before buying your own copy. You'll enter to win your own copy of the book plus a few extra goodies from me! To enter, use the Rafflecopter entry below. Contest is limited to U.S. only. Entries close on November 21st at 12 am. Winner will be announced by midnight on May 22nd. This is a sponsored post written by me on behalf of A Song for Snow via Penguin Books. All opinions are mine. The received a copy of A Song for Snow in exchange for an honest review. Giveaway items are supplied by publisher.